Are you thinking of getting help for litigation defense? Well, this is a highly complex matter and you might need help in this regard to seek out the truth. That is why you should seek help from a investigator. We, at Michael McKeever, can help. We have more than 30 years of experience in this field and are aware of high-quality technological resources to seek out the truth. We have catered to several people in the past regarding various issues such as insurance claims, missing persons, computer forensics, video and photo evidence, infidelity, and even litigation defense. So, if you are looking for a good litigation defense investigator in areas like New York, NY, NYC, or Manhattan, you can resort to us without any hesitation. Here, we have put together a few benefits of hiring a litigation defense investigator. Take a look. The primary reasons for hiring such an investigator is the cross-industry knowledge and experience they have. They can draw their understanding and experience from various professional backgrounds and can address the requirements of the litigation matters. Right from law enforcement, investigative journalism, private security, to finance, law, or government agencies, these lawyers can create a strong case through their investigative research skills. 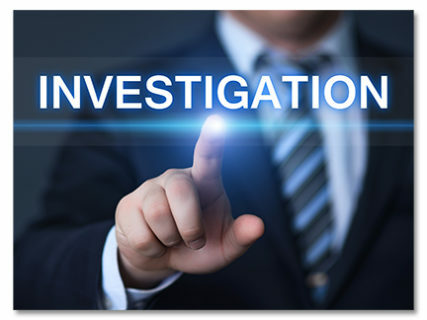 These investigative officers will not just carry out the investigation, enabling you to seek the truth behind the matter but also be able to present you with a detailed and accurate report. They can attest to the reports’ veracity and also provide signed affidavits for their findings. So, when these can be divulged the sources can be identified. This information source can be used by the attorneys for drafting subpoenas, motion-filings, and discovery requests. So, without any delay, get in touch with us if you need such an investigator for litigation defense.